You can find us at the Sapperton Pensioners Hall on the 4th Thursday of each month, July, August, and December excluded - 06:30 P:M start. Weekend demonstrations are usually also held there. 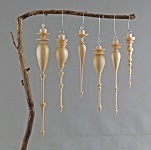 Classes are scheduled intermittently and usually held at KMS Tools Woodworking shop. Club Meetings: Sapperton Pensioners Hall, 318 Keary St., New Westminster, B.C. - lower level, entrance at rear. If the Hall lot is full, you can find street parking on Keary Street and better still Simpson Street. Make sure you avoid the resident parking zones. 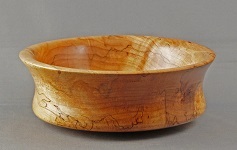 Classes: Generally held at the KMS Woodworking Shop, 925 Tupper Ave, Coquitlam. This is not the KMS store! It is about 200 feet west of the store entrance. Enter and go up the stairs. 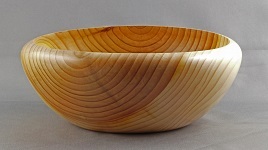 Welcome to the Greater Vancouver Woodturners Guild. We hope your evening will be enjoyable and informative. All meeting participants, whether members or guests, are required to sign a YEARLY waiver form . If you haven’t done so already, please ask for a form at the reception desk. 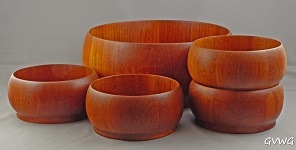 From time to time you will receive reminder notices and information about wood sources through bulk email distribution. Please ensure that your email address is kept up to date with the registrar. If you have any questions prior to the next meeting you can email info@gvwg.ca for assistance. The New Members Coordinator is available at the meetings to assist you with your orientation. Different members are scheduled each meeting to be “greeters” who will circulate through the members and introduce themselves. These volunteers are happy to answer any questions that you may have. 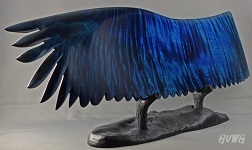 Members bring questions on issues they may have with the design or finish of a piece. 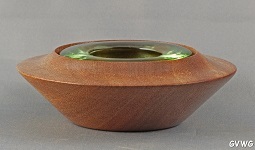 Other members comment (constructively) on design alternatives and alternate methods of finish or technique. Topics include turning techniques, finishing, surface treatment, safety and many other turning related topics. Coffee is available by donation. Please bring your own mug. 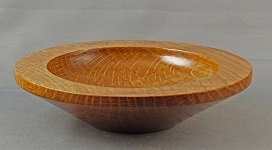 Members bring their work to display for others to see. 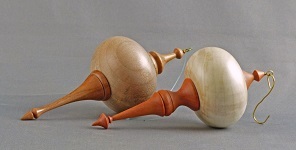 Throughout the year the club conducts a 2 or 3 session “Beginners Workshop Series” focusing on basic skills and equipment used by woodturners. Sessions are limited to 6 participants. These classes are open to all club members regardless of skill level. The intention is that students will go home and practice the skill at least one evening after each session. When they return for the following session, they can discuss any questions or difficulties they have experienced while turning on their own. 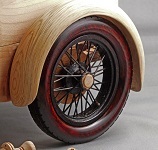 The club workshop volunteers will also be able to review the turners techniques to ensure that they are not developing any unsafe or poor turning habits. Pre-registration and prepayment are required. See Peter Hill for session information and to register. Participants are required to be active members. The number of sessions in the series (2 or 3) will be decided based on the experience and needs of the registered participants. Classes are held on predetermined weekends from 9:00 am to 4:00 pm. at the Coquitlam KMS Tools in their classroom upstairs in the warehouse building. Cost is $40 per session. Participants must pay for the entire series. No refunds for missed classes. Participants are encouraged to bring their own tools and safety equipment. Wood for training projects will be supplied. Guest Demonstrators brought in about 4 – 6 times each year. 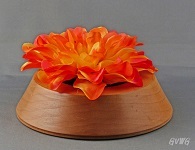 Demonstrator leads a workshop on the following Sunday – cost is $165 – usually limited to 6 participants. Early registration is advised as classes fill quickly. Sunday workshops are held at the Coquitlam KMS Tools in their classroom upstairs in the warehouse building. Voluntary participation in all activities. 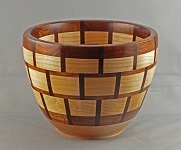 Consider joining the American Association of Woodturners (AAW).We are a chapter of the AAW. How do I join? Attend a meeting and register with our Secretary. You may print the form and fill in before hand or just come to a meeting. Associate memberships are available for anybody living outside the Metro Vancouver area or, with board approval, those living within the metro area. The annual fee of $25 entitles the Associate Member to email notification of the newsletter, other GVWG postings as well as registration in classes at the regular member’s rates and times. 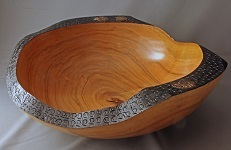 The name of the society is Greater Vancouver Woodturners Guild. 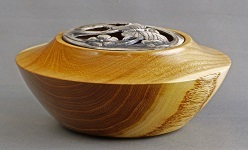 to promote the art and craft of woodturning in the community. 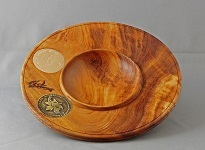 To help us achieve our goals, the society will maintain itself as a local chapter of the American Association of Woodturners, Inc. This provision is unalterable. 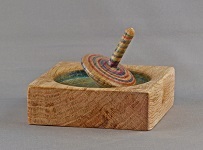 By joining together in this society, our intent is to foster and promote the development and sharing of the art, science, and skills of woodturning. We acknowledge that a society of people with widely diverse backgrounds and experience creates opportunities for learning that are often not available to individuals working alone. 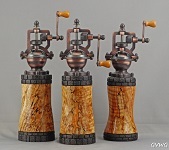 We believe that through the exchange of ideas, techniques, and opinions, each person is given the opportunity to improve himself technically and creatively and by so doing discover the enjoyment and satisfaction of woodturning. This provision is alterable. Here set forth, in numbered clauses, the bylaws providing for the matters referred to in section 6(1) of the Society Act and any other bylaws. 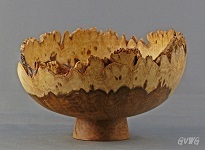 AAW means the American Association of Woodturners, Inc. The amount of the annual membership dues must be determined by the directors. All members are in good standing except a member who has failed to pay his or her current annual membership fee, or any other debt due and owing by the member to the society, and the member is not in good standing so long as the debt remains unpaid. A member may be expelled by a special resolution of the members passed at a general meeting. The notice of special resolution for expulsion must be accompanied by a brief statement of the reasons for the proposed expulsion. The person who is the subject of the proposed resolution for expulsion must be given an opportunity to be heard at the general meeting before the special resolution is put to a vote. General meetings of the society, in accordance with the Society Act, must be held at the time and place that the directors decide. The directors may, when they think fit, convene a regular general meeting. Notice of a general meeting must specify the place, day and hour of the meeting, and, in case of special business, the general nature of that business. The accidental omission to give notice of a meeting to, or the non-receipt of a notice by, any of the members entitled to receive notice does not invalidate proceedings at that meeting. Business, other than the election of a chair and the adjournment of the meeting, must not be conducted at a general meeting at a time when a quorum is not present. If at any time during a general meeting there ceases to be a quorum present, business then in progress must be suspended until there is a quorum present or until the meeting is adjourned. A quorum is 20% of the members in good standing or a greater number that the members may determine at a general meeting, but the quorum must never be less than 3 members. The president of the society, the vice president or, in the absence of both, one of the other directors present, must preside as chair of a general meeting. If, however, no director is present within 15 minutes after the time appointed for holding the meeting, or if the president and all the other directors present are unwilling to act as the chair, the members present must choose one of their number to be the chair. A general meeting may be adjourned from time to time and from place to place, but business must not be conducted at an adjourned meeting. A resolution proposed at a meeting need not be seconded, and the chair of a meeting may move or propose a resolution. 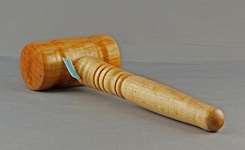 In the case of a tie vote, the chair does not have a casting or second vote in addition to the vote to which he or she may be entitled as a member, and the proposed resolution does not pass. 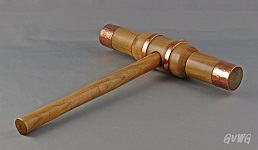 A member in good standing present at a meeting of members is entitled to one vote. Voting is by show of hands. Voting by proxy is not permitted. Rules, not being inconsistent with these bylaws, that are made from time to time by the society in a general meeting. The president, past-president, vice president, secretary, treasurer, and up to six (6) other persons are the directors of the society. The number of directors must be 5 or a greater number determined from time to time at a general meeting. Each director is elected for a two year term. The president, secretary and up to three (3) other persons are to be elected in even-numbered years and vice-president, treasurer, and up to three (3) other persons are to be elected in odd-numbered years. No director may hold the same office for more than two consecutive terms. If a director is appointed to an office and serves less than 18 months before an election, that time will not be counted as a term. An election may be by acclamation; otherwise it may be by ballot or by a show of hands with the candidates excused from the room. Notwithstanding sub-paragraph j, if the President, Vice President, Secretary or Treasurer resigns his or her office or otherwise ceases to hold office, the remaining directors must appoint a replacement. Notwithstanding any clauses in paragraph 6, the position of past president is an appointed position held by the most recent past-president for a term of one year after his or her term as president has ended. A director may at any time convene a meeting of the directors. Questions arising at a meeting of the directors must be decided by a majority of votes. In the case of a tie vote, the chair does not have a second or casting vote. A resolution proposed at a meeting of directors need not be seconded, and the chair of a meeting may move or propose a resolution. The president presides at all meetings of the society and of the directors. The president is the chief executive officer of the society and must supervise the other directors in the execution of their duties. Be responsible for sending a copy of the minutes of all meetings of the society to the national office of the AAW. a) The directors may appoint and/or nominate such committees of members of the society as deemed necessary in the administration of the affairs of the society, and confer upon such committees such powers not exceeding the powers of the directors. b) The president shall ex-officio be a member of all committees appointed under this article. The common seal must be affixed only when authorized by a resolution of the directors and then only in the presence of the persons specified in the resolution, or if no persons are specified, in the presence of the president and secretary. In order to carry out the purposes of the society the directors shall not borrow money on behalf of or in the name of the society. All funds shall be deposited in a chartered financial institution of Canada, in the name of the Society and shall be subject to withdrawal upon the signatures of any two of the following: president, vice president, secretary, or treasurer. Inspection of Books and Records All books and records of the society may be inspected by any member within seven days' notice at such time and place as the directors shall decide. A notice may be given to a member, either personally, by mail to the member at the member's registered address, or by e-mail to the member at the members e-mail address. A notice sent by mail is deemed to have been given on the second day following the day on which the notice is posted. A notice sent by e-mail is deemed to have been given on the day on which the e-mail is sent. Notice of a general meeting must be given to every member shown on the register of members. 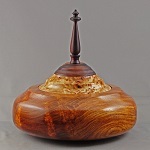 All directors of the society agree to be members in good standing of the American Association of Woodturners, Inc. While it is understood that the AAW will provide advice and counsel, as requested, the nature and extent of the society's activities are left to the discretion of the society. Demonstrations are to be conducted solely at the discretion of the directors, and all safety and instruction is to be under their explicit direction and control. The national office of the AAW must be notified in writing prior to the society incurring any indebtedness for AAW. 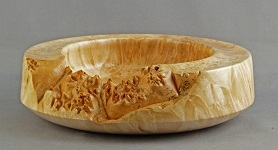 The corporation, the American Association of Woodturners, Inc., specifically disassociates itself from any debts, obligations or encumbrances of the society. The Corporate Board of Directors of AAW is not responsible for the debts nor shares in the profits of the society. The Corporate Organization does not shoulder any legal liability for accidents that occur during events of any kind sponsored or unsponsored by the society. Copies of all modifications to these bylaws must be filed with the national office of the AAW. Dated June 2, 1999, last amended February 2012. 5.Write President’s Column for newsletter. 7.Maintain the archives of the Guild. 10.Be comfortable using the computer to maintain the records and distribute information to other directors and members-at-large as necessary. 4.Volunteer for necessary tasks as part of the executive team. 6.Keep file of bills and receipts. 7.Liaise with the bank to arrange signing authority. 2.Volunteer for necessary tasks as part of the Guild and executive team. Role: produce a newsletter prior to each meeting to educate, entertain and inform the members. Traditionally the newsletter has been published about one week prior to the meetings. Role: Assists demonstrators and activity organizers; arrange volunteers to conduct Guild business and events. Role: Plan, schedule and co-ordinate the line-up of presenters for all regular monthly meetings. The Educational Co-ordinators (EC) arrange up to 12 speakers/demonstrators per year. 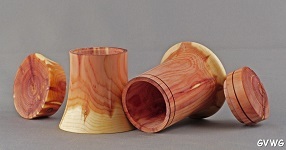 The scope of the presentations is anything that relates to woodturning. We make excellent use of our own talented and diverse members. We also bring in outsiders from other clubs, organisations or individuals that can address our interests. It is nice to have 2-3 outsiders per year. The EC should refer to prior topics covered in order to gain an idea of what could be planned and try to avoid repetition within a 2 year cycle, but there are no hard and fast rules. Try to keep a mix of topics that will cater to both novice and seasoned members. With this in mind, every speaker, regardless of expertise, disseminates something of value. Counter-parts from other guilds including guilds in the Fraser Valley, the Sunshine Coast, on Vancouver Island and in Washington state. Various related organisations, suppliers, and artisans. The EC communicates with the Executive though the Vice President. The Executive can be a useful source for new ideas and sometimes the executive might bring forth new goals for the EC agenda. Keep in close contact with upcoming speakers and make sure they are ready to present. Assist/guide them in preparation if they need help. Assist in acquiring materials/props. Briefly research your presenters. Introduce your presenter at the meeting and thank them before they leave. 60 minutes, but is negotiable. For outsiders an honorarium & / or imburse for travel expenses - negotiated before hand. It is a good idea to line-up at least one member presenter that could step in at the last minute in case of cancellation. Calendar/speakers: Generally one per month, except July, August and December. This is an appointment by the Board-it is not an elected position. 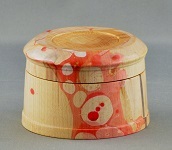 The outline of the position is describe as a Guild Member who, once advised as to who will be visiting on what potential dates, is then responsible for the demonstration, and possible related hands-on class, being a success in meeting the needs of the demonstrator and of our guild members. I research the background on the pending visitor to obtain details about them and photos of their work for material to be developed into a newsletter article, and to identify, if possible some special feature that can be promoted to be of possible special interest to our members or at least some of them. Merv Graham is notified so he has plenty of lead time to assemble material for creating his poster boards, and Steve Hansen is advised with a link or two so he can publish the announcement in the home page of the Guild website. I will contact the demonstrator, usually by email to request details of what topics will be covered in their presentation and in their class, if applicable, so that I have some information to promote both events. If I am fortunate (20% of the time), I will receive sufficient details and a couple web links that will assist me in preparing material for the Look Who is Coming to Demonstrate piece for the Newsletter and for announcing to the membership at the next couple of monthly meetings. I also try to get details as to what the demonstrator would like the students to bring to the class. The demonstrator is also contacted – usually with a couple of requests, that they advise me of their needs as to wood, equipment, computer connections, other power equipment – compressor, vacuum system, fluids that cannot be transported by air, or other special needs – i.e. a freezer etc. ( I tried a checklist, but that is generally ignored, along with most other requests.) 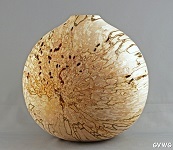 Once the needs are identified to me I then source the materials, with the objective of keeping the costs – for wood, etc. to a minimum so as not to challenge our finances. This may require emails to other members, tel calls or a trip into various suppliers to find what is needed. There may then be some prep work to cut the material to the dimensions specified by the demonstrator/instructor. If there is evidence of a lack of interest in the demo in general or the class in particular, then a decision must be made, in consultation with the President, that the class component will be cancelled due to lack of interest. That news must be delivered to the demonstrator and to Art. It has been decided, with discussion with Art and with the Past President, that for a class to proceed we must have 4 paid up students. If we have not received enough information or material to promote the class, (because the demonstrator has not responded), then we cannot do the impossible to fill the seats for him or her. I am often in contact with the other clubs who are hosting the same demonstrator, in hopes that they have been advised already as to the individual’s needs or wants. (It appears there should be more communication between the clubs so that it is clearly understood as to the cost sharing arrangement that allows any one club to bring in a visitor from a long distance away. Art Liestman explained to me that in the past, the cost was divided between the number of clubs the demonstrator was visiting, regardless of the number of days, or half days spent at any club by the demonstrator. To me this makes sense, because no one club could justify the cost by itself so bring someone from say South Carolina to do just a one day demo, or evening presentation. However this formula has recently been altered by one of the clubs south of Seattle who decided that they will only pay a share of the travel costs if divided by the number of days presented at each club.) There was also a threat of last minute cancellation by that club– without thought to the fact that the demonstrator had already booked the flight. A ”Border Letter” is prepared for each out of country demonstrator to assist them in declaring to Canada Customs that they are coming to Canada on a business trip and the letter is their invitation to come speak to our guild members. (This is a standard letter originally prepared by Art that is personalized and addressed to the home of each visiting demonstrator. I include my name and telephone number in the event that Canada Customs Service needs to contact someone from the Guild when the demonstrator is waiting at the border. In some situations I have provided driving directions from the border, or have assisted by meeting the demonstrator at the airport to deliver them to the host – generally Art’s place. If necessary I will notify the Guild’s Communications person to request a broadcast reminder of the event in the week leading up to the demo date. The current NL Editor / Publisher looks after this now without prompting – thank you (or argument!) Thank You Michelle. 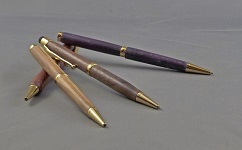 I am asked for a budget, but I have no say as to the costs, and can only insure that the cost so of materials is minimized, usually by my providing crap wood to the demonstrator to use. I do maintain a spreadsheet of the costs incurred by the Guild for each demonstrator and note the number of students in each class and the related revenue generated from the class. I do not have any numbers as to the revenue collected at the demo, this is a treasury matter, and I suggest any “Budget” needs be directed to that department. 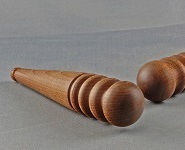 Often there are little things that are needed for the demonstrator, and these have been borrowed from my shop. On the day of the demo I make sure that I have a couple bottles of water for the demonstrator and that they have tables for tools or product display as required. One last thing, in this position, you get to write your own job description! You also get to have dinner with the visitors-a reward in itself! 2. 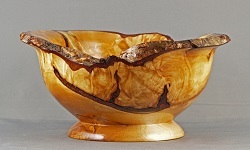 All elected members of the board of directors shall be members of the American Association of Woodturners (AAW). 03/2010 (Reviewed 11/17) The board will reimburse online membership fees to the AAW for members of the Guild Board. (Revised11/17). 6.All members who demonstrate at a guild meetings shall be certified and have their certification renewed every five years on a schedule to be determined by the board. A list of certified demonstrators shall be maintained by the Guild Secretary. ( Added 11/17). 7. The board shall appoint members as assessors to certify demonstrators. 07/2010. (Revised 11/17). 24. The board shall determine whether a public event is a Guild sponsored event. 07/2010. The Service Award - In any club there are people that always seem to be there to setup at every function. People that always seem to be the first to volunteer for a club activity and that we rely on to get things done. They are the life and blood of the club. Award for Outstanding Contribution - There are people within any group that by their actions, leadership, guidance or hard work, significantly define the group. They are the ones without whom the group would undoubtedly be less than it is. They are the ones whose contributions shape the group, give it direction, purpose, and richness. EVENT REQUEST is for use by Guilds in the BC Crafter's Association for notice of an Event that needs Executive approval to be a Guild Sanctioned Event for Liability Insurance. The following is the process and criteria for a member to become approved. DEMONSTRATING - members of the GVWG who demonstrate at Guild sponsored events need to be approved by the Guild. The following is the process and criteria for a member to become approved. The need for assessment is strictly one of safety - to operate a lathe in such a manner as to not endanger any spectators. Please contact the President if you wish to apply. 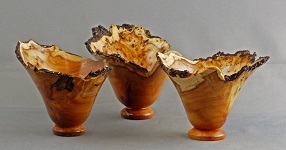 In the fall of 1998, Art Liestman, Don Hoskins, and John Bese began a conversation about forming a woodturning club in greater Vancouver. 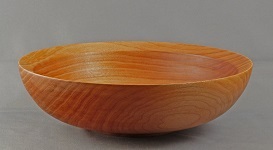 It was clear to them that the population of greater Vancouver was large enough to support a club focusing on woodturning. 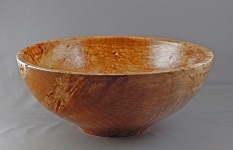 In addition to regular meetings, they felt that the new club should be aggressive in bringing in demonstrators from outside of the area and that it should be a chapter of the American Association of Woodturners. Quickly, others were brought in to the discussion, including Sandy Dougal, Dave Armitage, Bruce Campbell, Ted Fromson, Steve Hansen, Marco Berera, Phil Laliberte, and Dave Martin. An initial meeting to formally discuss forming the new entity was called for March 9, 1999. Don Hoskins found a meeting place for these planning sessions in Port Moody. At the first meeting, Art Liestman, Don Hoskins, John Bese, Dave Armitage, Sandy Dougal, Ted Fromson, and Dave Martin agreed to begin the work needed to form the new entity. Don and Sandy were dispatched to find a meeting location for the new club while Art was selected to draft a constitution and bylaws, drawing on the Provincial guidelines and on the AAW’s chapter requirements. Don and Sandy arranged for the new club to meet at Centennial Senior Secondary in Coquitlam in exchange for some maintenance to the lathes in the school’s wood shop. After they tuned up the lathes, one of the shop teachers expressed surprise that more than 4 people would be likely to attend club meetings and withdrew the offer to use the School's facilities. He also was insistent that nobody turned wood anymore since CNC machines did it all these days. It was clear that the shop teacher thought we were anachronistic fools. Don started the search anew. Some local community centres looked promising and wanted groups like ours to use their facilities, but they would only commit to space on a quarterly basis and we needed an annual home. Dave Armitage suggested the Legion Hall in Coquitlam. Don secured the hall for our regular monthly meetings. Unfortunately, we could not book the hall on Saturdays for the full-day demos that we planned to hold. Several other meetings were held in the next few months and in May, the assembled group adopted the constitution and bylaws and elected the first officers - Art Liestman (President), John Bese (Vice President), Don Hoskins (Treasurer), Dave Martin (Secretary), and Ted Fromson (Member at Large). The meeting attendees paid their dues to provide the Treasurer with some start up money. Art interacted with the AAW office and Board member Clay Foster who was in charge of new chapters. At the AAW Symposium in June 1999, the GVWG was formally admitted as the 130th chapter of the AAW and the third Canadian chapter. KMS Tools (in particular, Bob Gadd) was helpful in providing assistance such as working with Technatool to provide a good deal on a Nova 3000 lathe for the club and donating some accessories to go with it. The lathe and its stand (made by Bruce Campbell) were stored at Art Liestman's shop and brought in for every meeting. The guild’s first regular meeting was held in September 1999. 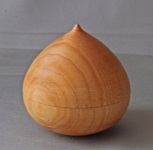 Fifty-four people attended the first meeting and by the end of the night the Greater Vancouver Woodturners Guild had forty paid members. The club grew quickly during that first year. In April 2000, we were privileged to have Bonnie Klein as our first outside demonstrator. Bonnie did a full day demo on a Saturday and taught a hands-on class on Sunday at a meeting hall in Belcarra. Our second year began in September of 2000 and the guild continued to grow, straining the facilities at the Legion Hall. For our next outside demonstrators, we would need a different facility, preferably one that would accommodate a full-sized lathe. After some negotiations, we arranged to install 220 power into a room at the Evergreen Cultural Centre in Coqutilam so that we could bring in a big Oneway lathe for those demonstrations. Clay Foster was our second outside demonstrator in February 2001, followed quickly by Stuart Batty, Mark Salusbury, Jack de Vos, and Russ Fairfield in the next few months. During the summer of 2001, we arranged to move to Sapperton Pensioners Hall for our regular monthly meetings. Our first actual event at the new hall was a demo by Don Derry on Saturday, September 15th. That was a memorable event for all attendees as 9/11 was very fresh in our minds and bringing Don across the border seemed to be a big deal. Our first regular meeting at the Sapperton Pensioners Hall was held a couple of weeks later. Canada 150 was made for Canada's Sesquicentennial birthday. 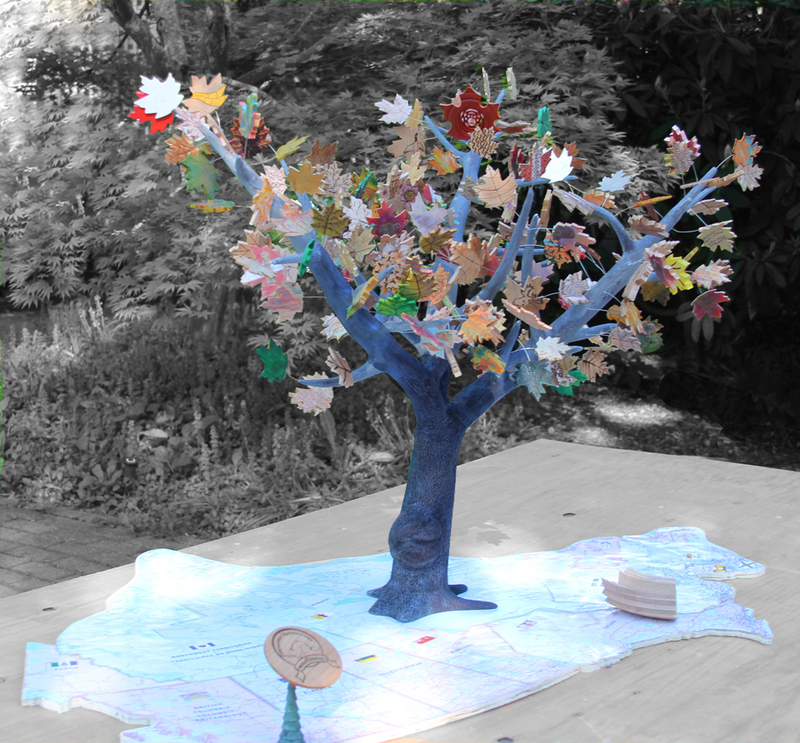 It's a maple tree, turned, jointed and carved from...maple with maple turned "ring" leaves, individually painted, carved, and textured to foliate its limbs and finished off with a proverbial burl on the trunk. Carefully packed and personally shipped by Ed Pretty to Kansas City only to find out that the AAW had abandoned the collaborative challenge - argh! Regardless, the tree's home is now in the Cancer Ward of Surrey Memorial Hospital. I SCREAM! 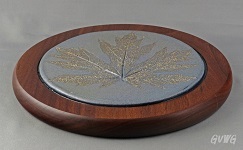 was donated to Canuck Place, a pediatric hospice in Vancouver. This project was really all about members playing with texture and colour. After Organic Fantasy, the AAW created the "Fantasy" category for collaborative challenge entries. We placed first this time. 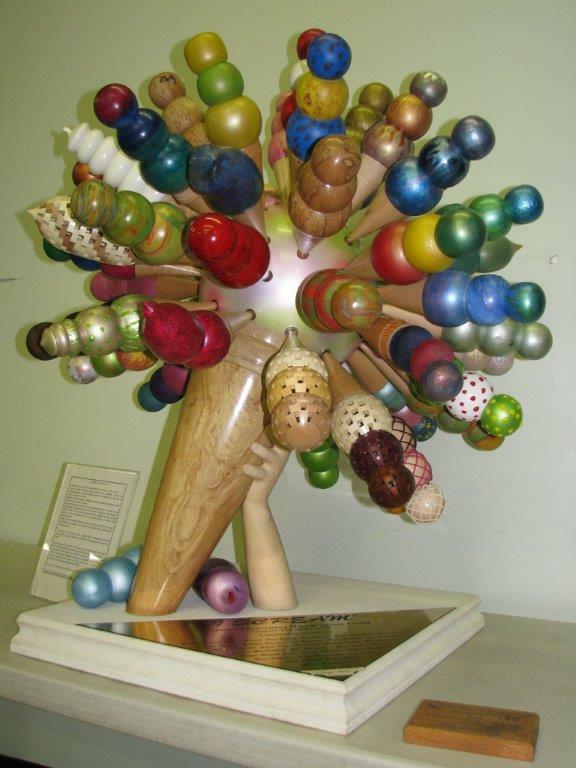 Complete with hand, segmented ball, and the jacks, this project challenged our skills for blending the intersection of 3 axis... without busting our knuckles. It was sold at the annual AAW Symposium fund raising auction held in San Jose to another club in the U.S. midwest(in Canada we call it the east). That helped pay for our Comet II Midi demo lathe. Organic Fantasy is a hand-crank pipe organ. Originally conceived as The Fast Ferry Project. Yup a ship!, but it somehow morphed into a musical instrument. 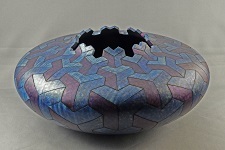 Twenty eight members took part in its design and manufacture and was presented by Art Liestman at the AAW Symposium in Charlotte, North Carolina. 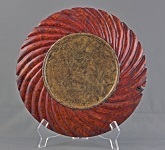 It was sold to a lucky buyer at the symposium's annual fundraiser auction.